Cynthia Kelly Ung is an attorney in Demler, Armstrong & Rowland’s Long Beach office, where her practice encompasses a broad range of civil litigation — which includes representing clients in an assortment of civil defense matters such as premises liability actions, automobile accident personal injury cases, dog bites, and landlord-tenant disputes. Ms. Ung graduated from the University of California, Berkeley with a B.A. in Communications. She then received her J.D. from Loyola Law School Los Angeles, where she simultaneously served as an editor of Loyola of Los Angeles’ Entertainment Law Review, was treasurer of the Iranian Law Students Association, and was involved with the Young Lawyers Program, a mentoring organization that teaches trial advocacy to inner-city youth through mock trials. Following her first year of law school, Ms. Ung also traveled to Shanghai, China and spent the summer working as a legal extern, learning about Chinese intellectual property law and corporate law. Ms. Ung is passionate about philanthropy and her involvement with her non-profit organization that focuses on treatment for children afflicted with cerebral palsy. 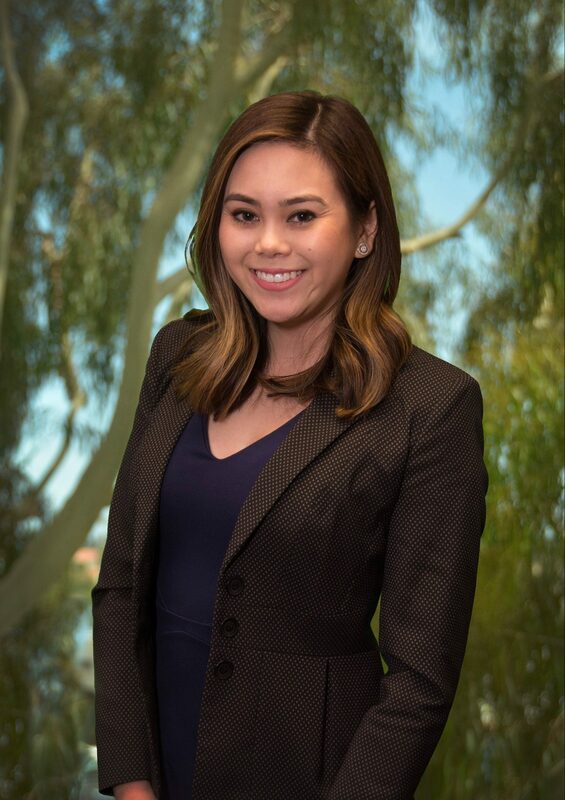 She was awarded a Congressional Certificate of Recognition by Congresswoman Judy Chu (29th District) for her “extraordinary achievements and high standard of excellence,” demonstrated by her commitment to volunteering and community service. When she’s not drafting motions for summary judgment, Ms. Ung loves playing with her Jack Russell Terrier, Paisley and riding her beach cruiser along the boardwalk.